What are the Different Types of Bulging Disc Treatment? 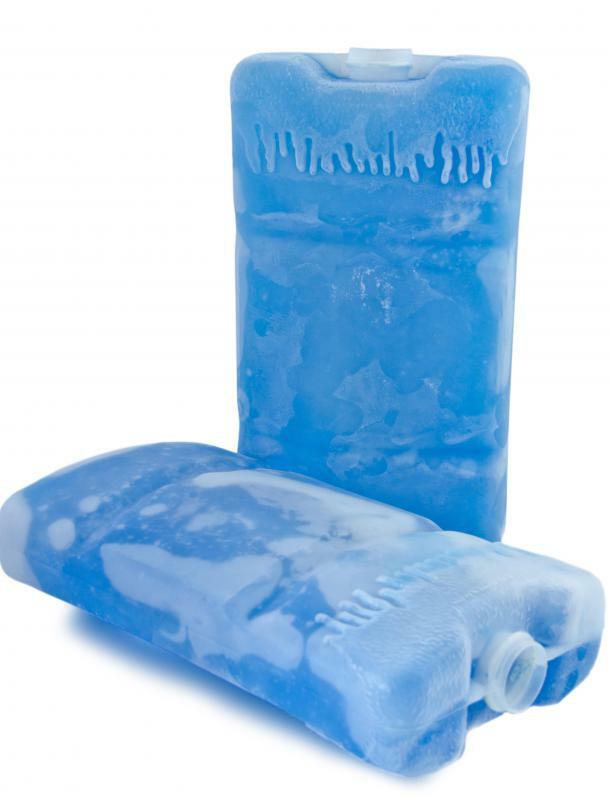 Ice packs may help alleviate pain associated with a bulging disc. Physical therapy may be helpful in treating a bulging disc. Chiropractic manipulation may help treat a bulging disc problem. Symptoms of a bulging disc may include severe back pain. 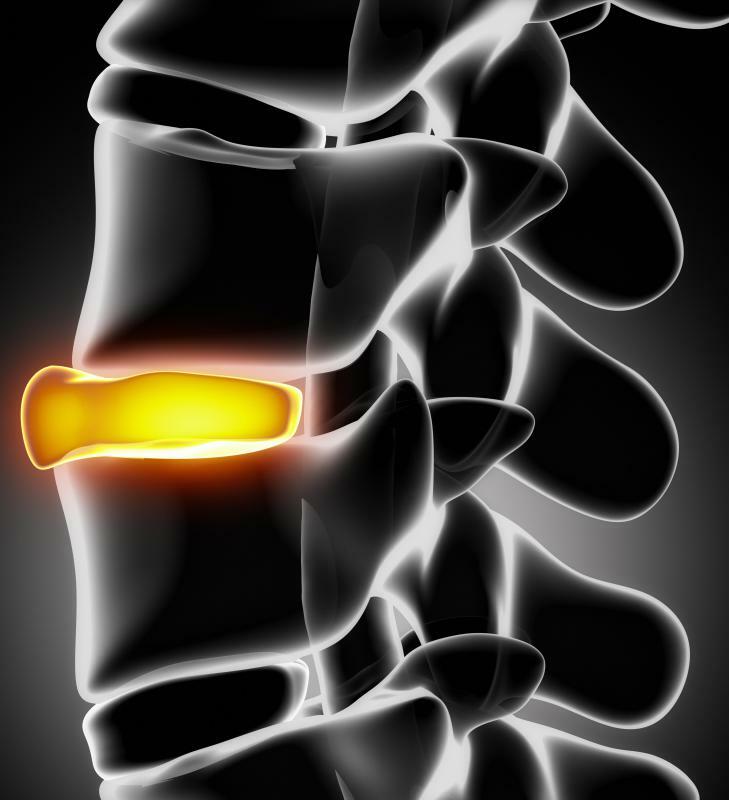 A bulging disc occurs when the fluid-filled disk in between vertebrae shifts out of place. There are numerous surgical bulging disc treatment options. A bulging disc occurs when a disc in the spine protrudes and puts pressure on a nerve, causing mild to severe pain. There are a variety of options for bulging disc treatment, depending on the severity of the problem. If the bulging disc results from an injury, acute pain can be treated by applying ice and heat and taking medication. As the initial injury heals and a person is able to resume normal function, options to relieve the spinal compression that causes a bulging disc may include chiropractic manipulation or physical therapy. In some cases, surgery may be an option for a bulging disc. Many people with bulging discs experience periods of acute pain that get better with treatment, but the injury can reoccur at different times. Initial pain from this type of injury can be relieved in some cases by applying ice, heat, or a combination of the two. Most of the time, it's best to use ice for about 20 minutes each time for the first two or three days after the injury. After that, ice and heat can be alternated. Anti-inflammatory pain medications, steroids, and muscle relaxers can also help to relieve pain and restore mobility. Many times, these methods can resolve acute pain and help restore normal functioning. After an acute injury is resolved, other types of bulging disc treatment can be used to reduce the spinal compression that causes the condition. Chiropractic treatments such as spinal adjustment and traction, or gentle stretching of the spine, can be effective options. Physical therapy can help in similar ways and also may incorporate stretching and strengthening exercises, biofeedback, and ultrasound treatments. Low impact exercises such as walking or swimming can also be effective for bulging disc treatment. People whose bulging disc pain persists after other types of treatment may decide to have surgery. 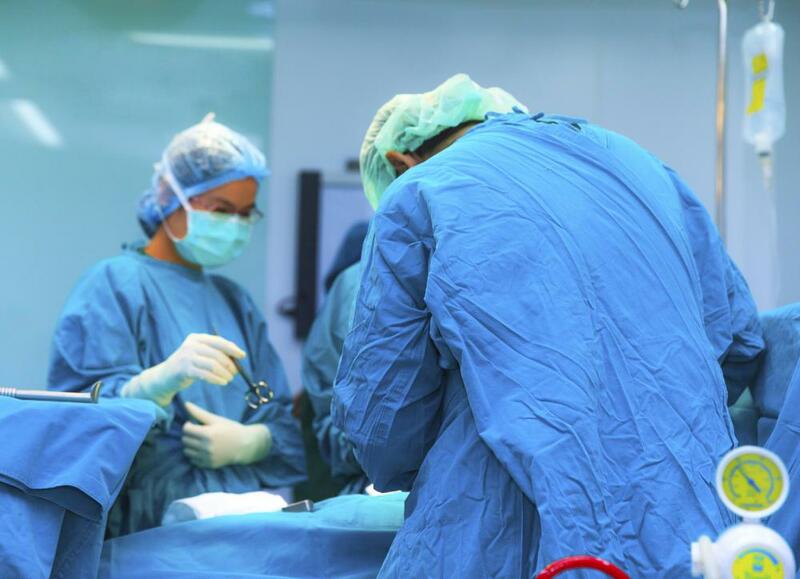 There are numerous surgical bulging disc treatments, but most focus on either reducing the size of the disc or increasing the amount of space in the spine to relieve pressure on the nerves. In very serious cases of chronic pain, surgery can block or remove pain signals from the affected nerves. Some surgical procedures can be done on an outpatient basis, but others may require a period of hospitalization. While surgery can help with severe disc injuries, it is not always effective, and full recovery can take several months. In addition, people who have had surgery may not regain all the mobility they previously had. What Is a Posterior Bulging Disc? What is Bulging Disc Surgery? What are Bulging Disc Exercises? What is a Protruding Disc? What Is a Bulged Disc? Hot and cold packs help me, along with a tens machine. I have L-3 through 5 disks bulging on the left side, pressing on the nerves of my left leg with severe back pain, numbness and left leg exhaustion. What do you suggest? I'm already in rehab. Try Therasage Infared Heat Calmer. I have been off work for seven weeks with severe sciatica and lower back pain, numbness in my left lower leg and foot, plus loss of strength in my left leg. I am seeing a chiropractor, who has been great. My doctor referred me to a physio who I have also been seeing. The physio thinks there may be a bulge or bulges at L4 -L5. However, what confuses me is the differences in what is being recommended. The physio wanted me to lie on my stomach to take pressure of the bulge(s) whereas the chiropractor has told me not to lie on my stomach as this would increase pressure in the bulge. When both explain the reason, both make sense. Now the chiropractor wants me to do forward bends as exercises, yet when I look up the Internet, it seems that forward bends should not be done. I'm now totally confused. Please help. my doctor said i have two bulging disks in my lower back that cause me severe pain. i was injured on the job. should i return to light duty now or get myself healed more? I am suffering with a pain. After so much treatment from a doctor, they asked me to get an mri test. The report of the mri test is that I have "Marked generalized bulge of the l4-l5 disc seen with postero-central propensity compressing and pushing the thecal sac posteriorly with obliteration of the neural canals bilaterally causing compression of the exiting nerve roots." And the doctor said I need an operation. Please suggest a way for me to reduce pain. i am having disc bulge at LV4-LV5 for two years. please suggest ways for me to reduce pain.